With the rise of Snapchat, Instagram, Facebook’s new ‘like’ emoticons, Twitter and text messaging, everyone is expressing themselves with emojis these days. Last year, marketing agency Deep Focus said that 4 out of every 10 millennials would rather engage with pictures than read. 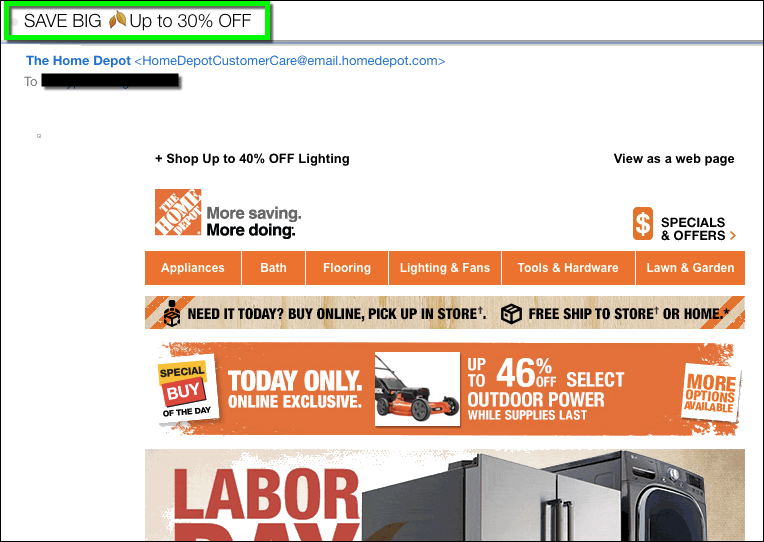 Which may be why you’re seeing more email emojis in subject lines lately. But is it the right strategy? Be sure you have an emoji that is relevant to your message. For example, Home Depot falls flat when they use falling leaves to signify (I think) the fall season. It’s weak and lacks relevance. 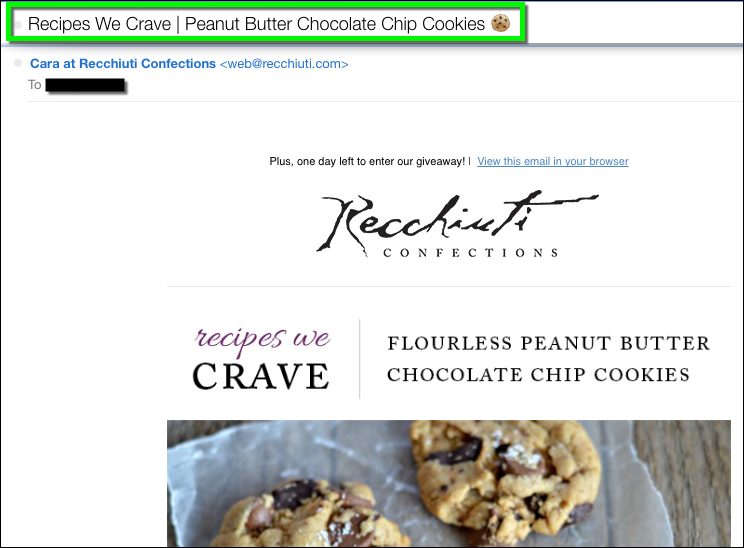 Yet, Recchiuti uses a chocolate chip cookie when talking about cookie recipes they crave – very relevant. Use if your message would benefit from some emotion being added to it. 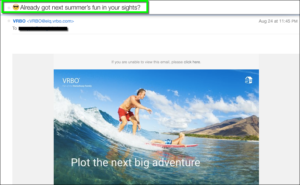 For example, VRBO adds a generic smiley with shades but it’s effect when you see it in your inbox reminds you that you want to go on vacation somewhere. Do use when you think your audience will be able to relate. For example, I’m a big Reddit fan, but Reddit doesn’t use an emoji in their email every time. They use it sparingly. 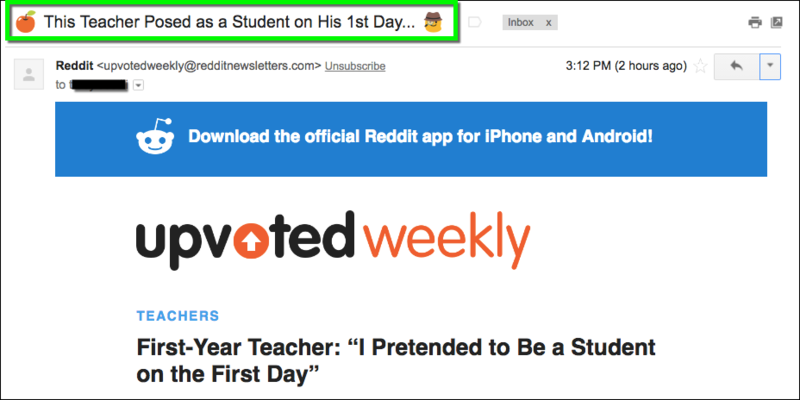 In this example, Reddit uses the apple emoji and the detective emoji when communicating to their audience that a teacher posed undercover as a student on his first day of teaching high school. Make sure your emoji is legible. The devices we read email on can be small and emojis are even smaller. 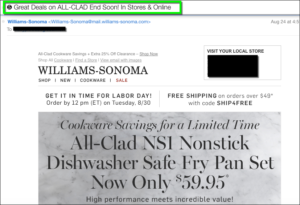 For example, Williams-Sonoma uses the number five in a circle, but it’s so small that it looks like a black blob. Not until you open the email can you actually see what it was supposed to be. Don’t overuse email emojis. For example, Last Call Neiman Marcus not only sends generic and not very relevant emojis, but they tend to do it often. The first time I saw it, their message stood out in my inbox. But now, I don’t even notice it. Be sure to TEST IT. Not all email clients accept the use of emojis in email subject lines and sometimes emojis can trigger spam filters or worse, look like □ this. 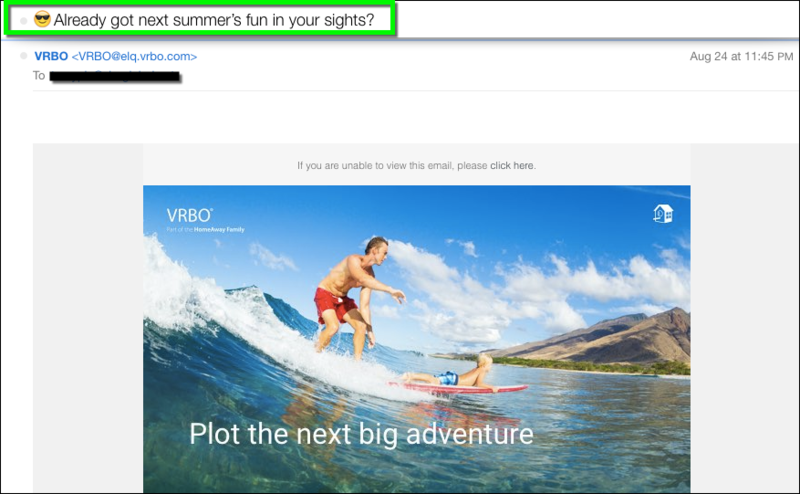 Be sure to test your email before sending it out to the masses. 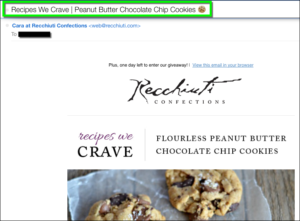 How do you add emojis to your email subject lines? 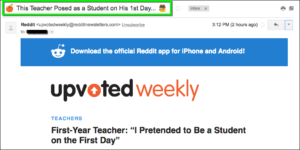 Believe it or not, you can just copy and paste your emoji into your subject line. Not all email programs are created equal so not all of them will work with emojis. But here are a few resources you can try in your next subject line.